Jealous of David's popularity at court following his defeat of Goliath, King Saul draws his sword against the young David. In the face of this danger, the boy flees with his harp. This scene illustrates the opening phrase of the following text, Psalm 51: "Why do you glory in malice, you who are mighty in iniquity?" 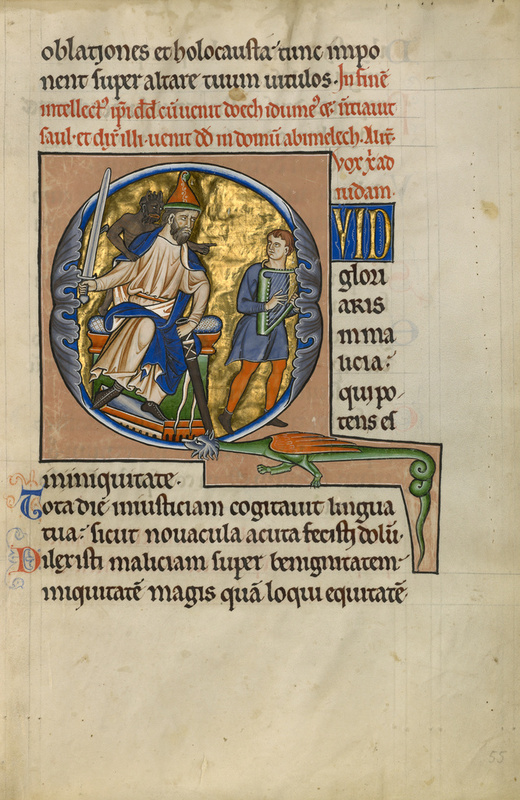 The illuminator portrayed Saul's evil intentions through the demon that grasps Saul's cloak with one hand while pointing to the fleeing David with the other.